With this Eurotard Sophia Bow Dress, your little one can feel like a princess every time she goes to dance class. 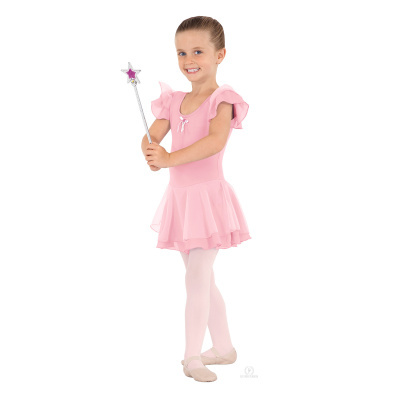 The super cute Cotton/Lycra leotard body features a removable bow pin in the front with double layer chiffon sleeves. The piece also has an attached chiffon skirt that will have her twirling every chance she gets!